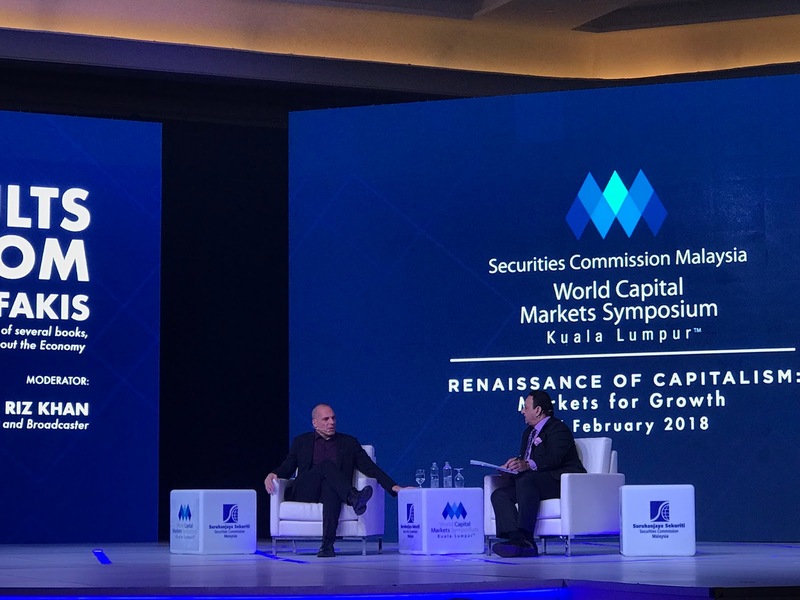 I was fortunate to be invited by the Securities Commission to attend the World Capital Markets Symposium 2018 last week. The theme for this series was Renaissance of Capitalism: Markets for Growth. Two speakers really provided me with the contexts and the big picture of what aregoing on in the world. They are Fareed Zakaria, the CNN's presenter which hosts GPS and Yanis Varoufakis, the former Greek Finance Minister. They displayed their intellectualism by galvanising observations, historical events and providing their projection of the future, which interestingly appear to coincide with each other. It is not difficult to figure out why capitalism is being questioned, hence why the theme was chosen. Globally, the world is still recovering from the 2008 financial crisis, in one way or another. Even as the Wall Street is seeing record highs again, interest rates in the United States are still not normalised yet. Quantitive easing is still the order of the day in Europe while Japan is still having an extra accommodative monetary policy. Similar to his last appearance, Fareed walked the audience through the history of world trade, globalisation and the information revolution. The world, according to Fareed, is at the point which provides the best to mankind based on all metrics. Yet, he agreed that everyone are not comfortable with something. Brexit and the election of Donald Trump are two examples of how the majority of the population in those places expressed their dissatisfaction against the ruling class. According to Fareed, there is a revolt against what he termed as "professionals", the group of people who made it through the education system and had been able to enjoy prosperity, accumulated wealth and been defining success for the rest who are mainly blue collar workers. Why? Because the growth driven by technological advancement had somehow not resulted in the growth of employment. The link between globalisation, trade and employment had been broken with business models where technology is the centre and displacing human with robots are the way forward. While Yanis was supposed to share with the audience his experience in dealing with Greece's failure to meet its debts obligations, he went back to the 1940's to explain the rationale behind the Bretton Woods agreement which was considered an important milestone in the whole chain of events many years later. After the Second World War, America was in a surplus situation in terms of capital and manufacturing capabilities. It needed to convert factories from producing was equipment to merchandise goods. In order to "recycle the surplus" from the US to deficit countries like Europe and Japan, the Bretton Woods agreement was designed to enable the Americans to be in the driving seat. Reference to the gold standards was just a tool of convenience, so that capital can be transferred to the deficit countries in form of debts to finance the imports of goods from the US. In the early 70s, the US itself started to suffer from deficit and the Bretton Woods agreement was making it difficult for them to play their original role. It was then determined by the Americans that it does not matter whether the US was deficit or not, their position would be maintained if the US remains as the driver of the recycling of the deficit through Wall Street and the US Dollar. Hence, Bretton Woods was dissolved for the benefit of the Americans. The facilitate this new way of cycling deficit, labour cost in the US had to be reduced. Hence, as a trade off, American workers were promised that their investment in property and houses would be the way to assure comfortable retirements. Hence, the American housing bubble was started. Therefore, the 2008 financial crisis where house prices melted was a breach of that understanding made many years ago. Suddenly, many worker found their retirement saving in the form of house value disappeared. At the same time, the technology revolution has created a situation where growth has been decoupled from employment. As an example, Yanis cited an Adidas factory servicing the whole Northern America markets needs only 800 knowledge-based workers instead of 8,000 people which included blue collar workers. It was mentioned that only 25% of Americans have college degrees, hence their future in the jobless growth-era would be bleak. This opened the door for people who believe in protectionism such as Donald Trump to take centre stage and able to promote policies which resonate with the feelings of these marginalised workers. When Greece joined the monetary union, its public and private debts were very low. Hence, Greece became the primary target for surplus countries like Germany to provide debt capital to Greeks so that they could consume products and services from those countries. According to Yanis, the bailout offered to Greece was to safe banks from Germany and France from collapsing if their loans were defaulted by Greece borrowers. Fareed provided the same analysis. Trump's simplistic explanation to the Americans that "Your jobs are stolen by the Mexicans, your factories stolen by the Chinese and your security stolen by the Muslims" makes sense to many Americans who life were affected by the status quo. Hence, movements against the proponents of democracy and globalisation sparked the fire of revolt against the "upper-class" people globally. 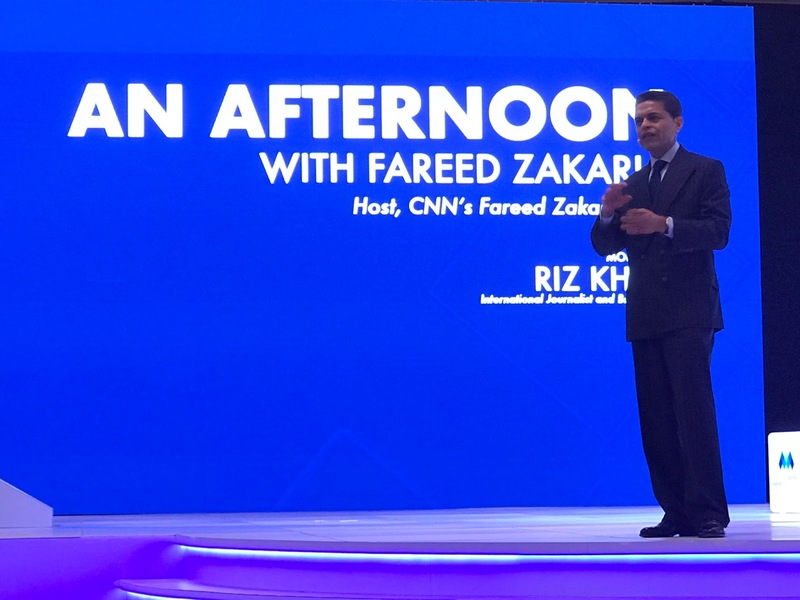 While Fareed did suggest that the world need to resolve job provision in the era of technology where machines and robots would be able to replace low level activities, he did not go into specifics. Yanis, on the other hand, made it very clear that the world need a new order. He even suggested some sort of social dividends to be paid out by social media companies which are making huge profits from social interactions, without paying anything to their members. He also predicts that the society would eventually impose similar standards on social media companies like what had been imposed on financial institutions once the impact of social media companies on the society is better understood. 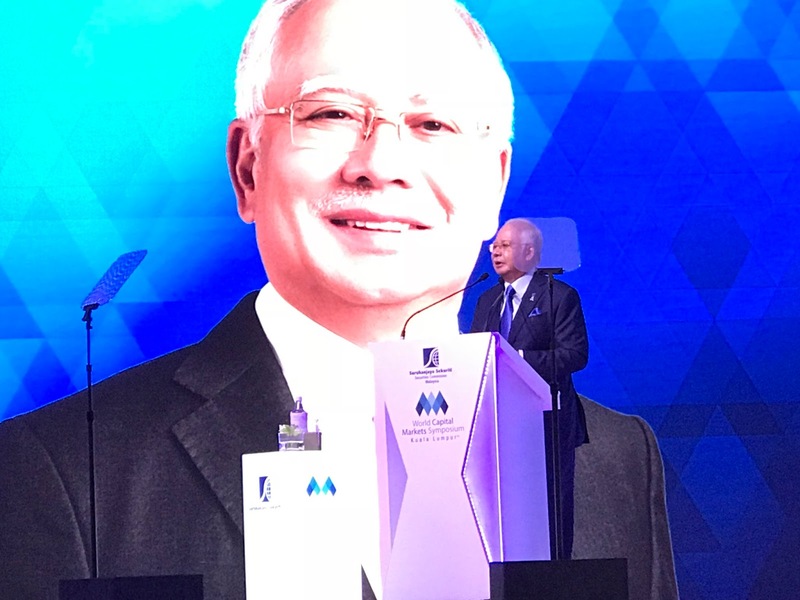 While we would continue our endeavour to develop and apply technology to many more facets of our lives, the issue of job creation would be critical to maintain prosperity to as many people as possible. We are already observing the implications and the worse are yet to manifest themselves. A new order where prosperity is better shared would need to be worked out. How? No one knows!